For more than 30 years, the Stars on Ice tour has entertained skating fans across the U.S., and this year’s tour will be no different. Featuring some of the top American skaters from the 2014 and 2018 Olympic Winter Games along with skaters eyeing the 2022 Olympics in Beijing, China, the 2019 Stars on Ice presented by Musselman’s tour will kick off in Fort Myers, Florida on April 18 and visit 13 cities in all before concluding May 18 in Portland, Oregon. 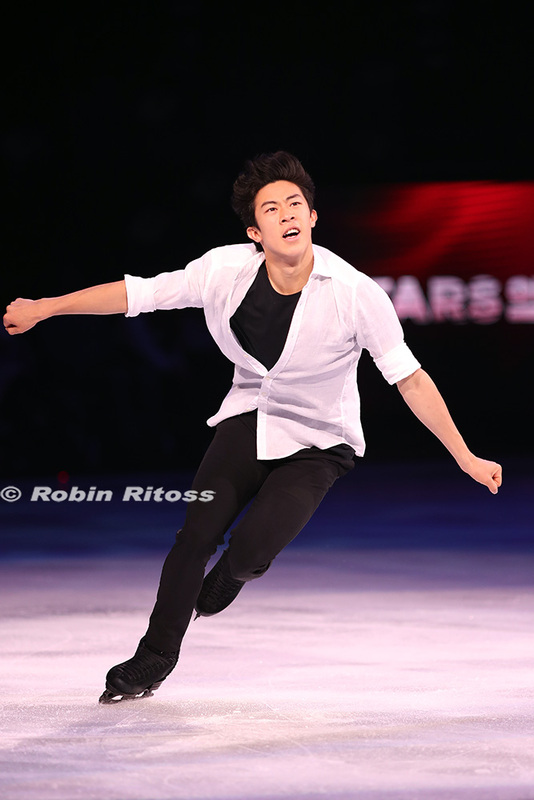 Among the skaters appearing in this year’s tour include two-time World Champion and three-time U.S. Champion Nathan Chen. Chen, who is finishing his freshman year at Yale University, will appear in nine of the 13 shows starting with the Long Island show April 20. This is Chen’s third tour as a cast member, having first appeared as a special guest for the 2017 tour and full-time in 2018. The 2019 tour will mark the Stars on Ice regular cast member debut for Vincent Zhou. 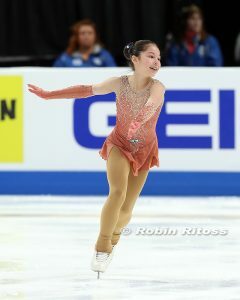 Zhou, who appeared as a special guest in select cities for the 2018 tour, is just coming off winning the bronze medal at both the 2019 World Championships and the 2019 Four Continents Championships. Also coming off winning World bronze (their second consecutive World medal) is Madison Hubbell and Zachary Donohue, who will be appearing in their third Stars on Ice tour. 2018 U.S. Champion and Olympic team event bronze medalist Bradie Tennell will return for her second Stars on Ice tour. 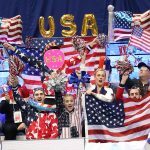 Tennell, Hubbell, Donohue, Chen and Zhou were a part of Team USA that won the gold medal at the World Team Trophy in Fukuoka, Japan on April 13, 2019. This year’s tour will also allow fans the opportunity to see some of their favorites from the 2018 Olympics who were absent from the 2018-19 competitive season. 2018 Olympic bronze medalists Maia Shibutani and Alex Shibutani (both in the ice dance individual and team events) and Mirai Nagasu (team event) will be taking part in this year’s tour after not competing this past season. 2016 World silver medalist and 2014 Olympic team event bronze medalist Ashley Wagner, who also sat out the 2018-19 competitive season, will be a part of this year’s Stars on Ice cast. She will be joined by four of her fellow 2014 Olympic bronze medal teammates: Meryl Davis and Charlie White, who also made history by winning the United States of America’s first Olympic gold medal in ice dance; four-time U.S. Champion Jeremy Abbott, who returns to the Stars on Ice tour after not appearing in the 2018 tour; and 2015 U.S. Champion Jason Brown, who has opted to only appear in just three shows this tour and will be a special guest in the St. Paul, Minnesota, and Bloomington and Chicago, Illinois shows. Fans will also be treated to two other some special guest performances, depending on their location. The audience at the opening show at Fort Myers, Florida will see four-time World and Canadian Champion Kurt Browning. Browning will be making his first appearance in Fort Myers since the 25th Anniversary tour in 2011. 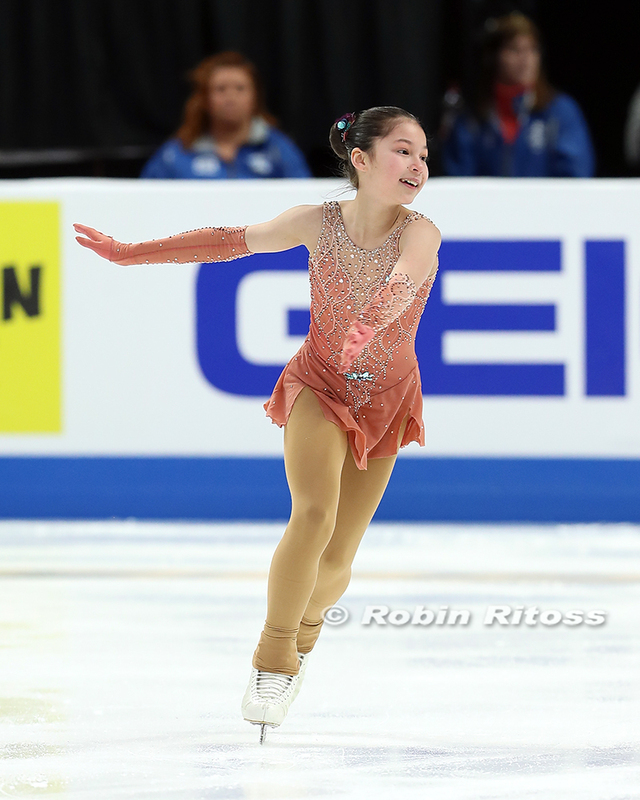 Fans at the west coast shows in Anaheim, San Jose, and Portland will get to see 13-year-old Alysa Liu, who made history at the 2019 U.S. Championships by becoming the youngest U.S. lady to win the senior title. This will be Liu’s first appearance in Stars on Ice. Founded and produced by Olympic Champion Scott Hamilton, Stars on Ice is the only figure skating tour in the United States. Tickets for the 2019 Stars on Ice tour presented by Musselman’s start at $25 and are available at www.starsonice.com. Editor’s Note: Figure Skaters Online‘s Gina Capellazzi, Claire Cloutier and Maura Sullivan-Hill will each attend a Stars on Ice show this season. Gina will be at the Albany, NY on April 25; Claire will be at the Worcester, Mass. show on April 28 and Maura will be at the Chicago show on May 5. They will be interviewing select members of the cast, as well as writing a review of this year’s show. Stay tuned to Figure Skaters Online in the coming weeks for more from Stars On Ice!